With decades of experience, Mid-South Container Sales offers outstanding excellence in customer service specializing in all aspects of the intermodal industry. 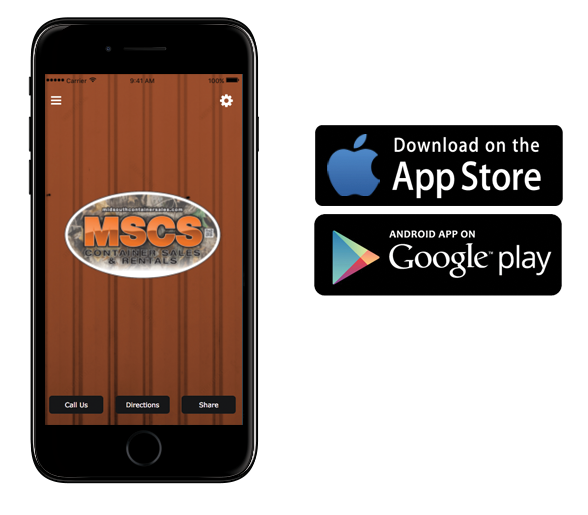 MSCS is strategically placed in the #1 distribution center of America to allow us to offer a variety of equipment. We are a nationwide company concentrating in the sale of storage containers, chassis, trailers, flat racks and open tops. MSCS supllies the local MidSouth with rental containers accommodating an array of storage needs. MidSouth Container Sales prides itself on being the leading rental business in the MidSouth while satisfying our customers needs in every aspect of the business. We look forward to speaking with you and thank you in advance for your interest in MidSouth Container Sales & Rentals LLC.